NFC Wild Card? You can have it. There are a handful of NFL teams that are in full control of their playoff destiny. In the NFC, put the Seattle Seahawks at the top of that list. That’s really good news if you’re a Seahawks fan. Here’s why: Wild Card? Worthless. Read why in my latest article, published in the Seattle PI, GoLocalPDX and Oregon Sports News. 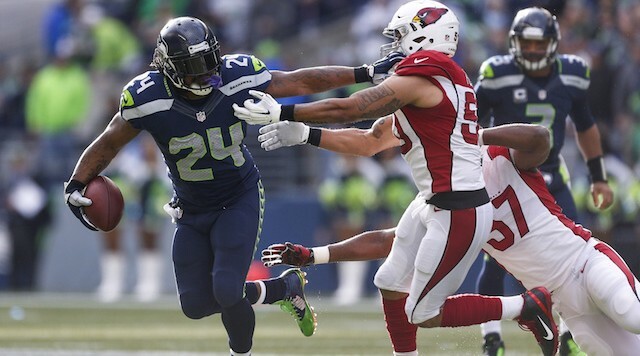 If you are a Seahawks fan that watched the Seattle Seahawks defeat the Philadelphia Eagles last Sunday, you are no longer worried about the Arizona Cardinals. Sure, they won too; keeping their one-game edge on the blue birds of the northwest. Those pesky red birds managed to pull themselves out of a tailspin by defeating the previously playoff-bound Kansas City Chiefs at home. No matter. The Seahawks, by virtue of wiping the field with the East Division-leading Eagles, announced their re-arrival as Super Bowl favorites. Read my latest article published in Oregon Sports News and the Seattle PI. Partly because both backups have earned the right to be on the team due to recent history (Flynn) and talent/potential (Tolzien), and also because of how the quarterback position was decimated last season, the Packers keep three quarterbacks this year — first time since 2008. Undrafted rookies LaDarius Perkins and Rajion Neal had outside shots, but the backfield is too crowded. Perkins may be a candidate for the practice squad and Neal a candidate for injured reserve. No surprises here. The “they have to keep at least six” thinkers are proven wrong again. Nobody stepped up to be a necessary sixth receiver. The Packers should do just fine with these five. Veteran Andrew Quarless, who used to pride himself on his blocking (back when he competed with Tom Crabtree for the title of team’s best blocking tight end), seems disinterested in blocking of late. It could cost him a roster spot. For now, I say he sticks to provide backup to new rookie starter Richard Rodgers, who won’t be backed up by the injured Brandon Bostick. Taylor has improved as a receiver and remains a key special teamer. This is a position group that determined itself through injuries. Don Barclay was a sure thing, but is out for the year with a knee injury. Aaron Adams was a strong candidate but is also out for the year with a knee injury. Lane Taylor sticks for now but may be replaced by someone Ted Thompson finds after cuts. There are tougher decisions to make on the defensive side. Disappointing rookie third-round pick Khyri Thornton may have saved himself via injury. The hamstring injury he sustained against the Chiefs may have bought him a year on injured reserve. B.J. Raji is already out for the season, opening a slot for Mike Pennel, an undrafted rookie. Pennel should not get too used to NFL paychecks, however. He may only be a short-term solution if/when Thompson brings in a more highly regarded lineman. Pennel would move to the practice squad. This line is nothing like the linemen of a year ago — major wholesale changes. There is no way the Packers can cut the NFL’s preseason sack leader, undrafted rookie linebacker Jayrone Elliott. His berth comes at the cost of fourth-round draft pick Carl Bradford, who just hasn’t developed as yet. Bradford, due to his draft status (and little else), is a strong candidate for the practice squad. Nate Palmer’s knee injury sustained against the Chiefs may have ruined his chances to remain a Packer. The only surprise here is Rolle over rookie Demetri Goodson. Goodson could land on injured reserve with a concussion or be slotted for the practice squad. Safety and former cornerback / slot defender Micah Hyde will augment this group in dime coverage. This group sorted itself out. It may have gone from the most obvious weak spot on the team to a solid core of talent. Richardson has really grown his game and playmaking prowess. No surprises here. It would be foolish to mess with success with this solid group. 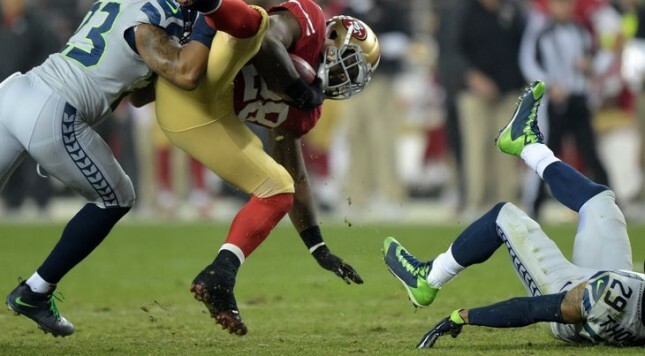 The Seattle Seahawks’ Legion of Boom pass defenders must be on their best behavior in the upcoming 2014 campaign. The NFL, according to former VP of officiating and current Fox Sports analyst Mike Pereira, has announced a renewed emphasis on defensive holding and illegal contact. The intention, apparently, is to not allow defenders guarding receivers running pass patterns the same ability to disrupt as they had been allowed as recently as last season. The Legion of Boom must now learn to play defense using “first date” behavior. Read about it on Oregon Sports News. Also published in the Seattle PI and Comcast Sports Net Northwest. The NFL’s stupid season is upon us. Last year was a doozy. This year — well, it’s off to a strong start. If you’re an NFL coach, general manager or owner, this is the time of year you fear the most. The four or five weeks between the close of your final offseason mini-camp and the start of training camp at the end of July is crazy time. It’s when your players and coaches are on their own. The reins are off. Do you have your advance directive in place? A living will is a legal document (also known as an advance directive, health care directive and a physician’s directive) that a person uses to make known his or her wishes regarding life-prolonging medical treatments. A living will should not be confused with a living trust, which is a mechanism for holding and distributing a person’s assets to avoid probate. Read about the five things you need to know about living wills on WiseTribe. 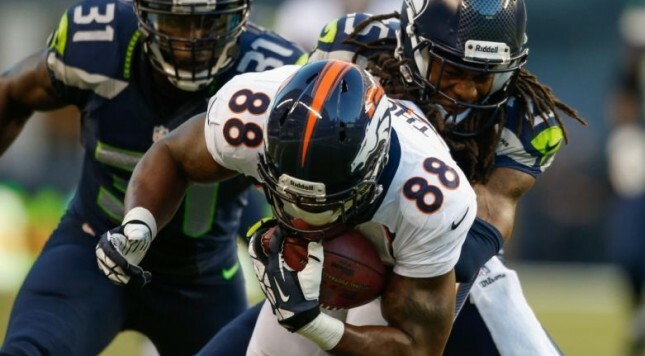 Read my latest article for Oregon Sports News about the Seahawks’ offseason strategy.